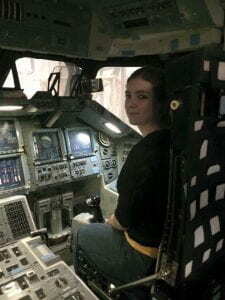 Starla (who is shown sitting in the pilot’s seat in a model space shuttle at JSC) is studying how mixed culture, Escherichia coli and Pseudomonas aeruginosa biofilms form in microgravity. Her initial experiments are being conducted using modeled microgravity and we are planning to have an experiment on the International Space Station in the next 12-24 months. 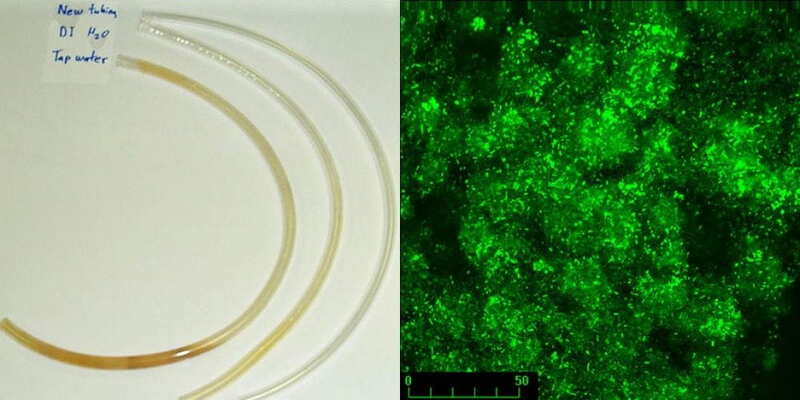 Priscilla is working jointly with Dhiraj Vattem and Vatsala Maitin and studying how lipid metabolism in the probiotic bacterium, Bifidobacterium longum, can control obesity using a Caenorhabditis elegans model. 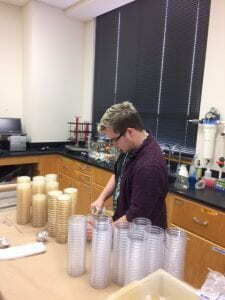 Quentin is characterizing bacteria that show a preference for growing under modeled microgravity conditions. 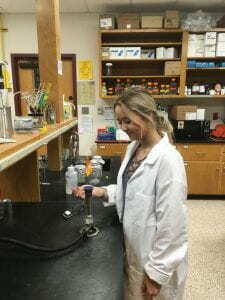 Sahar is studying the influence of anaerobic culture and metal ions on the growth, biofilm formation and quorum signaling in Chromobacterium violaceum. Lindsey is doing a course-based masters and is interested in dental school. 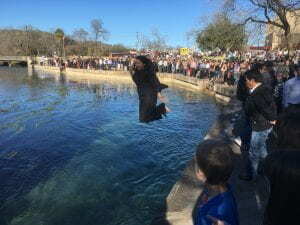 Julie just joined the lab and will be working along with Manish Kumar on genetic manipulation of Clostridium difficile and investigating the ability of this organism to live in a polymicrobial environment She just celebrated her undergraduate degree at the San Marcos River. 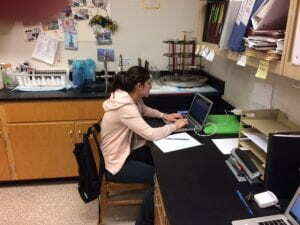 Shelbie is investigating bacterial removal from biofilms. 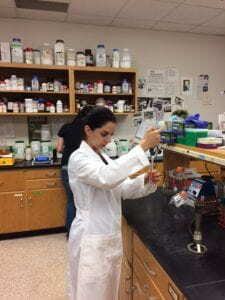 After graduating, she plans on continuing in the lab as a graduate student in the masters’ program.